Influenced by the Zero Waste movement, I have started to find more ways to reduce waste in everyday living. Light My Fire Spork is one way to eliminate the need for disposable cutlery. Every time I get take away, it seems I take unnecessary amounts of plastic cutlery just because its there – a spoon, fork and knife even if I don’t need a knife for my meal! But I realised, I immediately throw out all the cutlery when I finish the meal. That means these disposable spoons, forks and knives life span is just 30 mins! – the typical duration of my meal. What a waste. I don’t have to share my spoon with the rest of the office. It’s pretty amazing that our society has reached a point where the effort necessary to extract oil from the ground, ship it to a refinery, turn it into plastic, shape it appropriately, truck it to a store, buy it, bring it home is considered to be less effort than what it takes to just wash the spoon when you are done with it. Although I am starting to see a lot more compostable/eco-friendly cutlery entering the food stores (which is great! ), it still requires a lot of resources to create, delivery, handle and decomposed correctly to be sustainable. Also, eco-friendly cutlery currently still costs more than traditional disposable plastics, so not all businesses are going to switch them out that quickly. Why Light My Fire Spork? There are so many sporks, cutlery on the go sets and folding spoons on the market, we decided to go with the Light My Fire Spork for the below reasons. 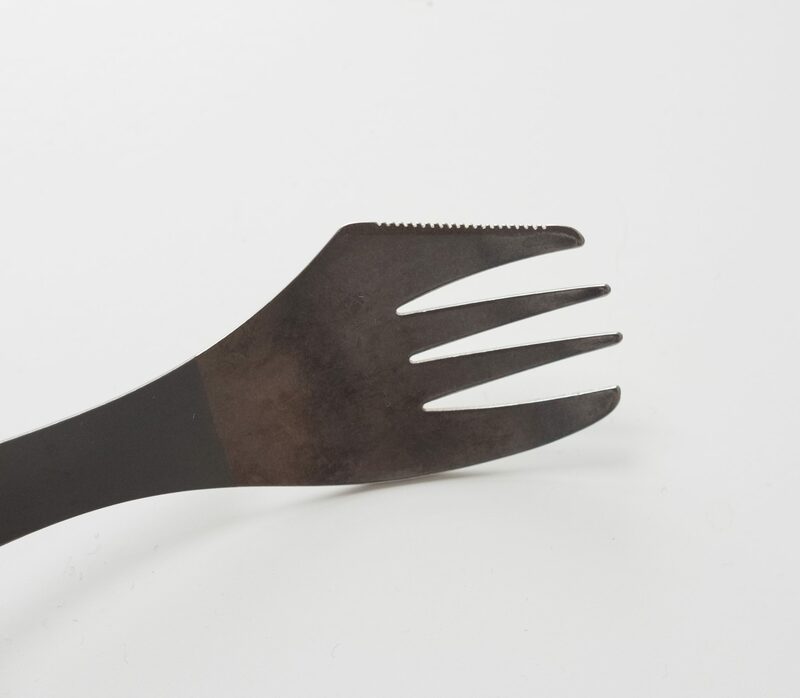 It is a 3 in 1, the Light My Fire Spork has a spoon head on one end, a fork on the other and a serrated edge which acts as a knife on one of the fork’s edge. So many colours to choose from – I’ve owned an orange, yellow, green and blue one. What is Light My Fire Spork The Original made of? Where is it made? BPA-free plastic, it is not manufactured with bisphenol A (BPA) or other bisphenol compounds, such as bisphenol S (BPS). Impact-resistant, products can be used without fear of shattering. 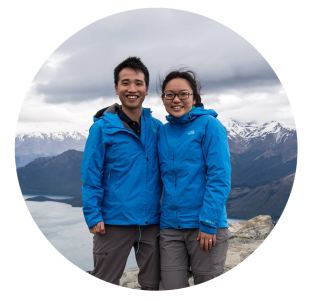 Tritan is tough, extending the useful life of water bottles and food containers, potentially reducing waste. Dishwasher durability, encouraging proper sanitation for greater plastic container safety. Lighter than glass, making it easier to handle without the fear of breaking. The Original Light My Fire Spork is made in Sweden. Size and Weight of the Original Light My Fire Spork? What is Light My Fire Spork Titanium made of? Where is it made? This spork has a polished surface which means there is no metallic taste. The Titanium Light My Fire Spork is made in Sweden. Size and Weight of the Titanium Light My Fire Spork? Titanium version is much easier to use and wash. I can be very rough with the Titanium spork and it will take it. You can use it almost like a regular spook/fork. The plastic on the other hand is prone to snapping and the jagged knife on the plastic spork is not very usable, for example, cutting kiwi with the plastic knife just leaves a juicy mess compared to the titanium version. Titanium version is 10x more durable. I have broken 2 plastic sporks trying to scoop ice-cream, 1 plastic spork melted when stirring soup because I had touch the bottom of the pot and 1 plastic spork snapped in half in my bag. I’ve had the titanium spork in boiling hot water, scooping out ice-cream and in my bag for over 6 months now – no damage. Titanium is much better at the heat side of things. It doesn’t transfer the heat up the spoon so I can make instant noodles whilst camping and use it as a spatula when cooking things on the hob. Plastic spork has melted on me so its not as heat resistant. Titanium is much better at not having a metallic taste when eating. The plastic version has a subtle plastic taste come through when you are eating hot food. 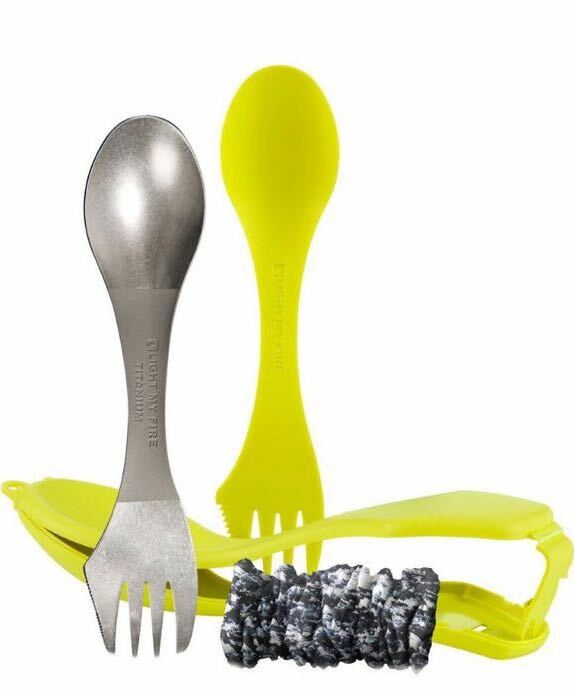 Titanium spork comes in at £12 and The Original spork rough £3. Never going back to The Original spork. The Titanium version has trumped the plastic version in all the categories except the price. However, the Titanium spork has proven to be the best investment I’ve made. I use it almost everyday and can rely on it not to break.